Cloud hosting really refers to the server setup at your web host. 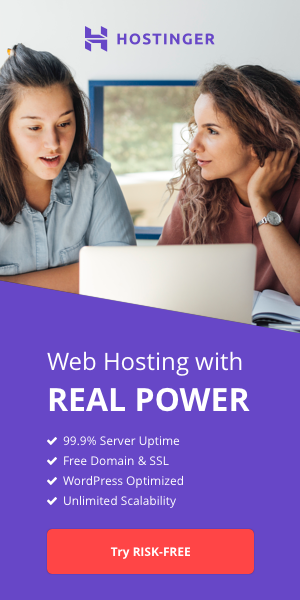 In a traditional hosting environment, your website is hosted on a single server, often alongside multiple other websites. Your site’s performance is restricted by what that particular server is capable of, which means that under high loads (like when your newest blog post makes the front page of Digg), your site may crash. Cloud hosts approach things differently, though. A better term might be “cluster” hosting. Servers are configured in clusters, and your site gets the benefit of multiple servers for performance. In other words, when your site suddenly gets a spike in traffic, it can utilize resources not from just a single server but from all the servers within its particular cluster. Cloud hosting provides a number of benefits over traditional hosting. First is that you get access to the resources of multiple servers for a much lower cost than would be required for dedicated servers. In many cases, cloud hosting is comparable in cost to better shared hosting services. In others, cloud hosting costs are based on the resources you actually use, so you’re only paying for what you actually use. Cloud hosting services can provide excellent stability (provided they’re set up properly). If one server in the cluster goes down, the others generally pick up the slack with no noticeable impact on the host’s sites (provided there’s proper redundancy built in). Of course, if the cluster isn’t set up optimally, a single server going down could take down the entire cluster or cause other major problems in performance. Another advantage some cloud hosts offer is the ability to access a variety of platforms and programming languages on a single site. You can access Windows and Linux servers simultaneously, opening up a lot more options for your site’s functionality. Not all cloud hosts offer this, though, so make sure if it’s something you need that your chosen host can accommodate those needs. Cloud hosting is more easily scalable than other hosting options. Because you already have access to the capabilities of multiple servers, in many cases upgrading your site’s hosting is as simple as clicking a button. 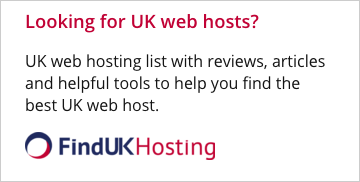 Check with your chosen host to see how easy it will be to scale your hosting as your site grows. Every type of hosting has its drawbacks. For cloud hosts, one of the potential drawbacks is security. Because sites are effectively hosted across multiple servers, there are more opportunities for security breaches. Make sure the cloud host you choose has proper security measures in place (this is true for any host). Because cloud hosting is becoming so popular, you need to be wary of hosts who have jumped on the bandwagon without the necessary technical expertise. A poorly configured cloud hosting solution can be more prone to downtime or security breaches. And cloud hosting is a bit more complicated to properly set up than a simple shared hosting server. Depending on your site’s needs, cloud hosting can be more expensive than other hosting options. If your site is small, you may be better off with a shared host that offers higher bandwidth and storage limits, or a cloud host that offers basic packages that include a predetermined amount of bandwidth and storage with additional charges when you go over. Otherwise, paying on a per-hit or similar basis you may end up paying a lot more without really utilizing the benefits of the cloud. In other words, if you don’t need the scalability and other benefits the cloud offers, the cost can really outweight the benefits to your site in particular. Who Should Consider Cloud Hosting? •Blogs with occasional spikes in traffic. This might be caused by content making the front page of Digg or otherwise going viral once or twice a month, but having dips in traffic in between. Cloud hosting lets you accomodate those spikes without overpaying the rest of the time. •Sites that expect to grow rapidly. Because of the scalability of cloud hosting, it makes perfect sense for sites that hope to grow their traffic quickly. •Sites with cyclical traffic. Maybe your site is really popular one or two months out of the year but not so much at other times (which might be true of a business catering to a particular holiday or event). Cloud hosting means you can easily meet those jumps in traffic without having a bunch of wasted capabilities the rest of the year. •Web application developers who would rather focus on developing their applications than on the intricacies of hosting them. Cloud hosting provides the scalability they’ll need as their app grows. Cloud hosting is least suited to small sites with only a few, rarely-changing pages. For those sites, simple shared hosting is probably a better fit. There are a few things you may want to ask any cloud host you’re considering. These questions are in addition to questions you should ask any web host you’re considering about security, pricing, etc. •Is there a setup fee for adding new services? •How are hosting fees charged? Are they on a usage basis or is there a flat fee for a certain level of service with charges for overages? •How much downtime have you had in the past month? six months? year? Do you guarantee a certain amount of uptime? •Have you taken any special security steps to protect your cloud hosting customers? •Is there enough redundancy built into your server clusters so that if one goes down sites won’t be effected?